So Gamma it was. 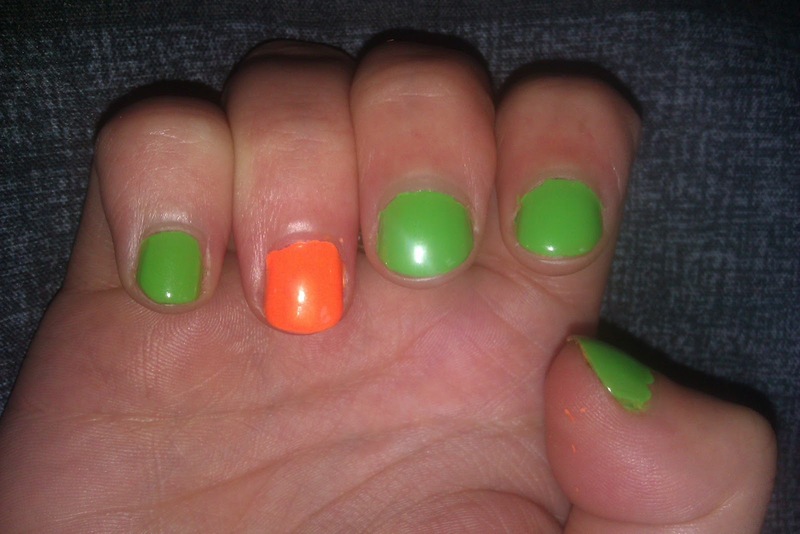 I decided to pair it with a accent of ORLY Fresh to break it up a bit. All I could say is woah! Gamma is the perfect neon orange. 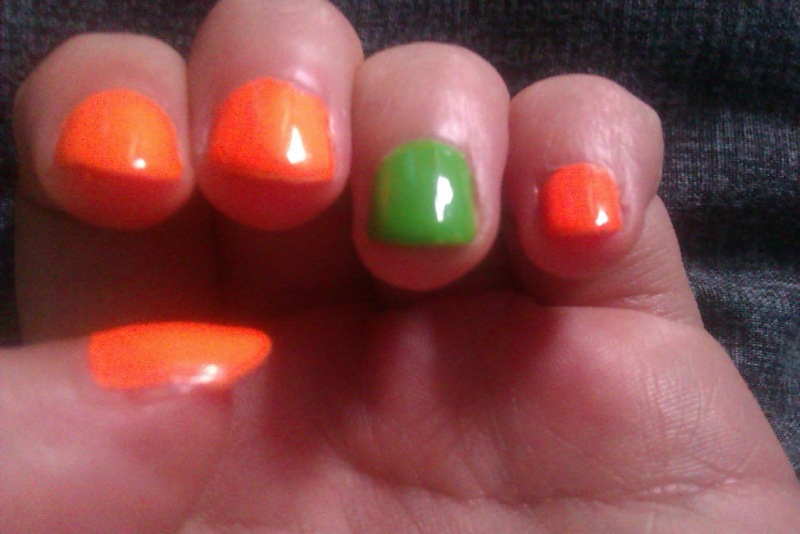 It is real day-glo orange and the only thing I can liken it to is the high-vis jackets that the postman wears! 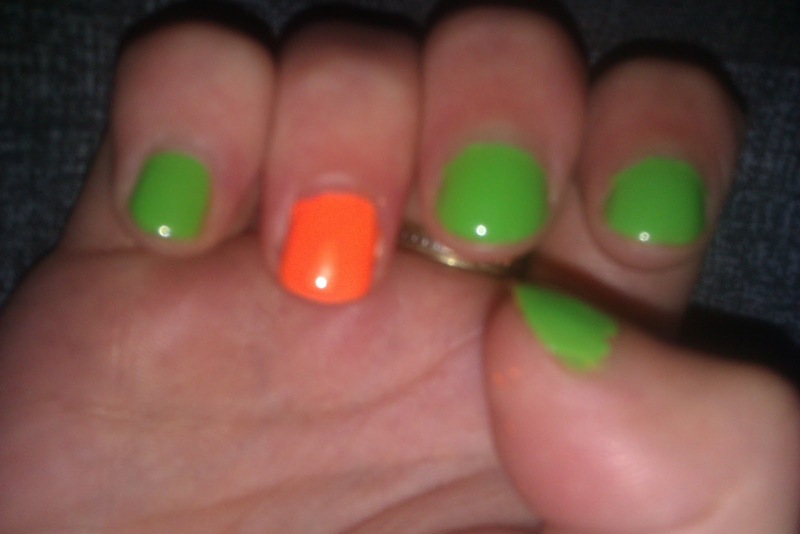 Although unquestionably a neon polish it applied like a creme and was perfect it two coats. With a coat of SV on the top it was perfect and glassy. So hot! 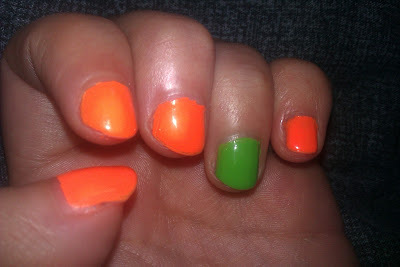 Seriously though, don't look directly at this polish if you don't want it to burn your eyes out! This was also my first time using Fresh and although it is thinner than Gamma (it took three coats) it looks great! The colour combo looks great together too! I think this is really fun! The colours are the perfect pick me up after a nasty exam and great summer polishes! 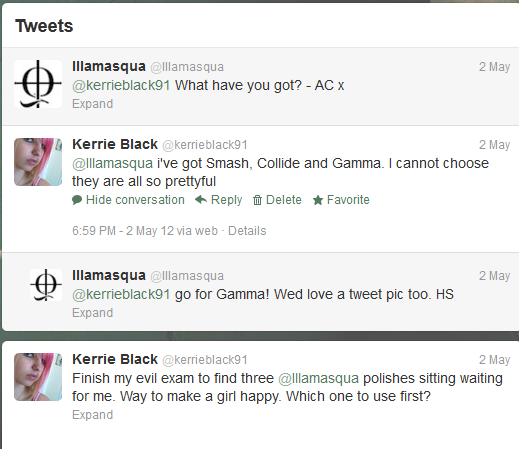 I am also loving Illamasqua and can't wait to try out the other polishes (and buy more). Do you own any Illamasqua polish? What do you think about neon? I would love to hear from YOU! OOhh that looks very nice. I have CG Riveting which is a intense glassy orange too. 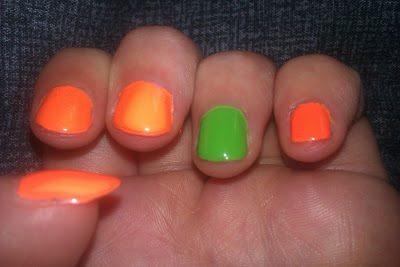 Mind you, a girl can never have too many neons and/or oranges! omg LOVE this color! i really may have to order it RIGHT. NOW.